Lenny Roberts - ROBERTS ENERGY RENEWABLES, INC.
Lenny Roberts has over thirty-five years in the regional wood products industry. He is currently the President and Chief Executive Officer of Roberts Brothers Lumber Company, Inc. (RBLC). RBLC was founded in 1947 and operates a rough cut lumber manufacturing plant, a timber harvesting and land management division, a wood fuels processing operation, and a ground covering manufacturing division. Since purchasing the business from his father and late uncle in 1983, Mr. Roberts has continued to grow and diversify the services and products offered by RBLC to the international market. Mr. Roberts formed a business relationship with a leading manufacturer of biomass gasification technology in 2010 to explore opportunities to develop meaningful bioenergy gasification facilities in the New England region. He is current President and Chairman of he Board of Roberts Renewable Power, Inc., a special project company devoted to the development of a carbon-negative bioenergy power facility. Mr. Roberts has held numerous leadership positions in wood products and agricultural trade associations. 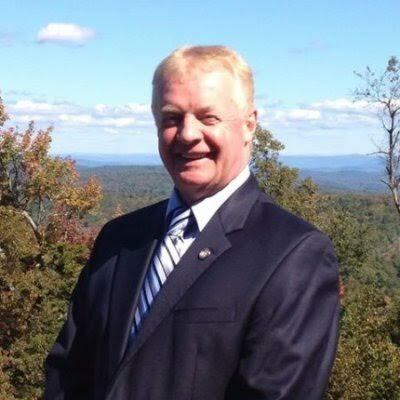 He is currently the President of the Franklin County Chapter of the American Farm Bureau Federation and President Emeritus of the Massachusetts Wood Producers Council. During the administration of Massachusetts Governor W. Mitt Romney, Mr. Roberts as served as a member of the Governor's Forest Products Advisory Board. Mr. Roberts lends countless hours of his time to civic organizations including the Mountain Lodge of Freemasons and Shriners Melha Temple. He is a lifelong resident of Ashfield, MA where he lives with his wife Joan and their two children Whitney and Hunter.